India started the year 2018 with a Test match loss against South Africa at Capetown and wrapped up the year with a win against Australia at Melbourne. 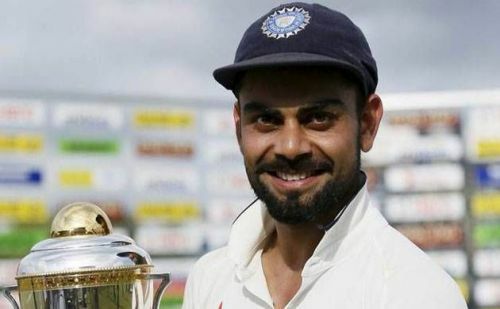 India won the third Test match against Australia at Melbourne by a huge margin of 137 runs. This was India’s 150th Test win. With this win, India have taken a 2-1 lead in the ongoing series. By winning the third Test, India have retained the Border- Gavaskar Trophy irrespective of whatever happens in the fourth Test at Sydney. Now India are at the brink of creating history by winning a Test series in Australia for the first time in 71 years. During the year 2018, India played a total of 14 Test matches and finished with an even record of winning 7 and losing 7. The team had lost away series in South Africa and England and won the one-off Test against Afghanistan and the Test series against the West Indies at home. India have managed to hold on to their No. 1 position in ICC Test rankings at the end of the year. As the records suggest, the year 2018 has been a mixed bag for Team India in Test matches. There have been a lot of positives as well as downsides in performances in 2018. As we wrap up 2018, let us examine the positives and negatives for the Indian Test team in 2018. 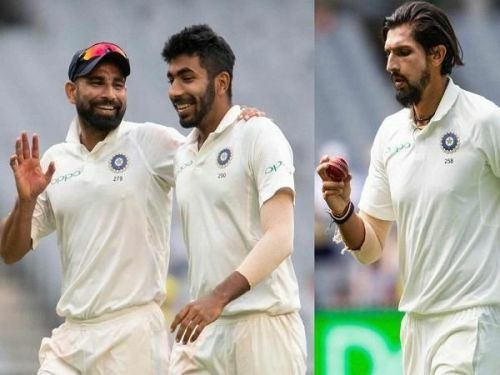 The biggest positive for Team India in 2018 has been the combined and consistent performances of the three fast bowlers Ishant Sharma, Jasprit Bumrah and Mohammed Shami. All the three fast bowlers have been relentless in their efforts and created match winning opportunities for the team. The fast-bowling trio created a record by taking the maximum aggregate number of wickets in a calendar year. Ishant, Bumrah and Shami combined together took a total of 136 wickets in 2018 to go past the record of 131 wickets taken by the fearsome West Indies fast bowlers Joel Garner, Michael Holding and Malcolm Marshall. The enormity of this achievement is explained by the fact that the record of the West Indies fast bowlers stood the test of time for 34 years before the Indian trio broke that record this year. Bumrah, who made his Test debut at the beginning of the year, is the leading wicket-taker for India in 2018 with 48 wickets followed by Shami with 47 and Ishant with 41 wickets. It was due to their outstanding performances that India managed to all the wickets in the series against South Africa, West Indies and Australia. The only time the Indian bowlers failed to do so was in the Lord’s Test against England. It was indeed a remarkable achievement by all the Indian bowlers. Hence the biggest positive for India in 2018 was the performances of the pace trio. Is this really the best Indian team in the last 15 years?